Click the "Time Reports" tab. 2. Click the "+ Create Report" button. 4. 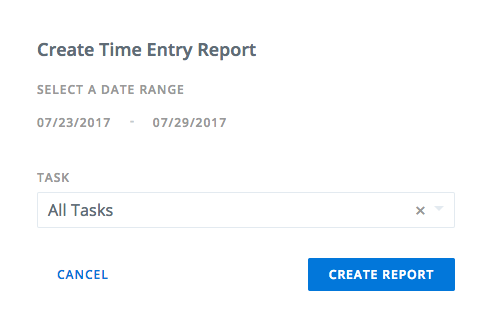 Click the End Date and Select the Date you want to end the time entry report. 5. Click the "+ Create Report" button. Note: If no Time Entries are submitted between the Dates you set for your Time Entry report, you cannot create a report. Time Entries must be approved to be successfully displayed on the Time Entry report.